Our Easter period opening hours are set out below. Opening hours on dates before and after those listed above are normal business hours (Mon – Sat 8.30am – 4.30pm, and Thursday night by appointment). Please note, the opening hours above apply to our Ooralea clinic only (our Northern Beaches (Rural View), Pioneer Valley (Marian) and Sarina clinics are not open over the festive period). 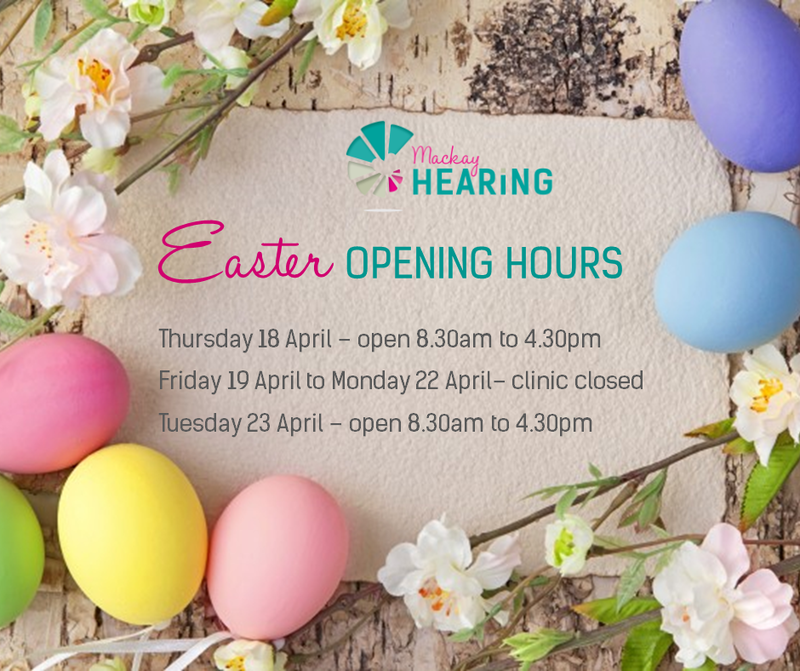 If you would like more information on our opening hours, or how we can help you hear better this Easter period, please contact our friendly local staff directly on (07) 4952 4649 or email us at listening@mackayhearing.com.au.